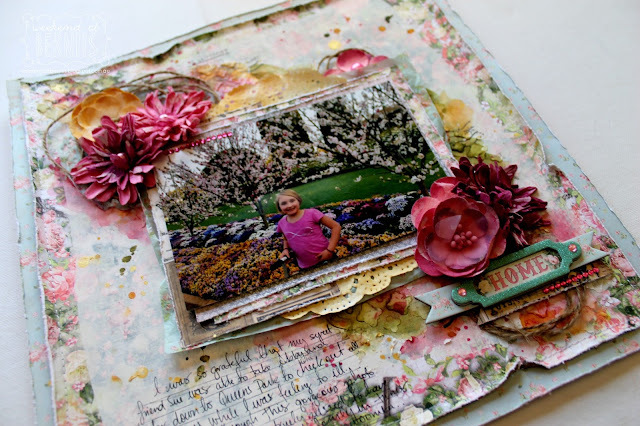 The BoBunny Blog: Scrummy Soiree Decoupage & Craft Die layout! Scrummy Soiree Decoupage & Craft Die layout! Welcome BoBunny fans Bernii Miller here with you today to share with you how I have used two awesome new products that are newly released from BoBunny. The amazing fun decoupage paper that has endless possibilities and the new Ornate Doily dies. 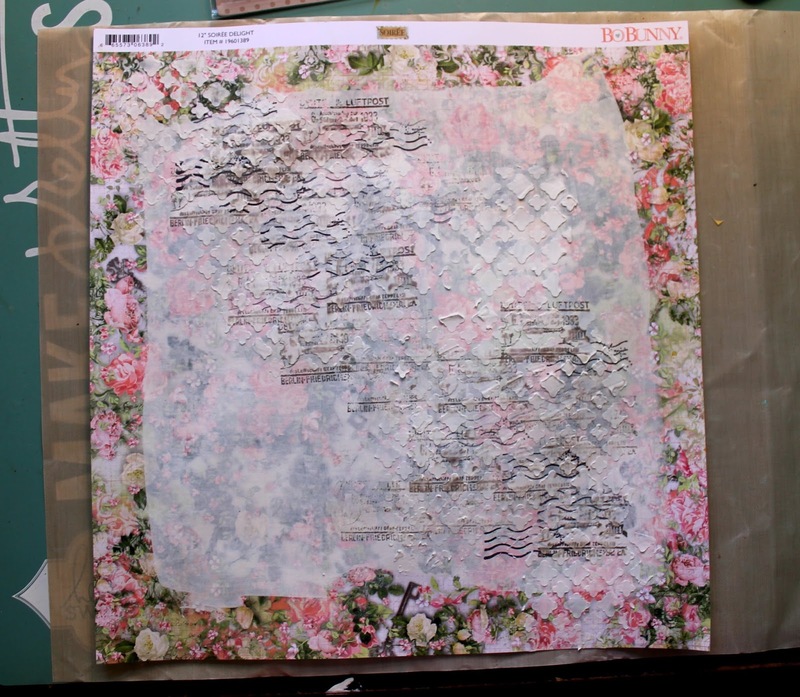 I wanted to play around and see how well the decoupage paper would cut with the BoBunny dies. I am happy to share that they work wonderfully together. You need to be gentle separating the die from the paper, but the cuts turns out beautifully. 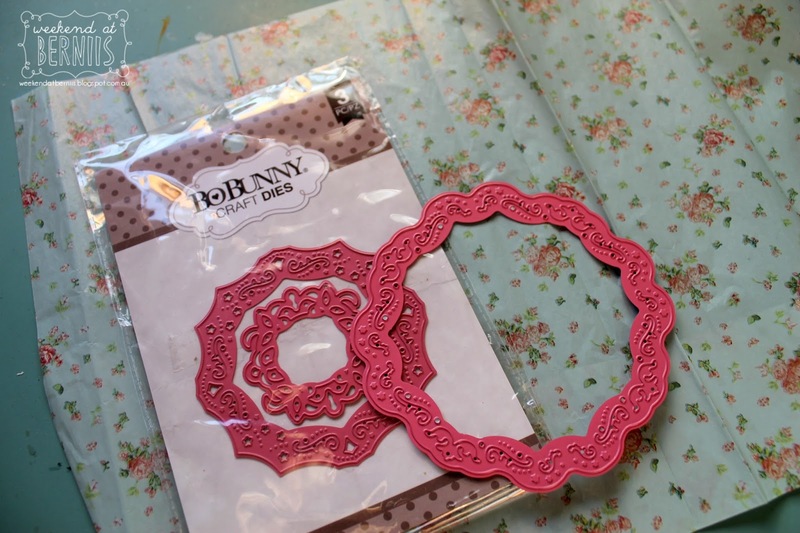 So I decided I would cut a couple of the doily dies to use as matting for my flower cluster. 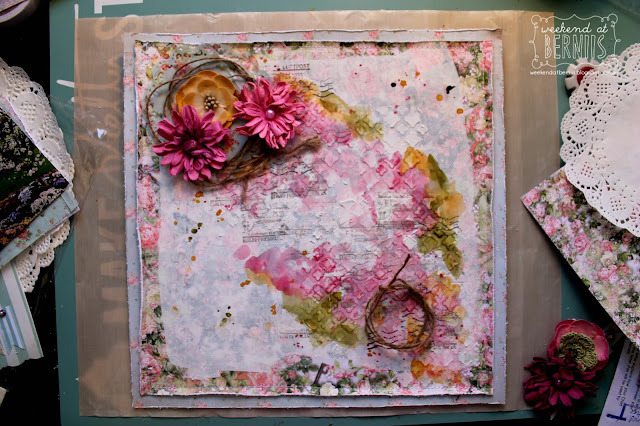 I thought I would also share a little of my process of how I created the background paper quickly. 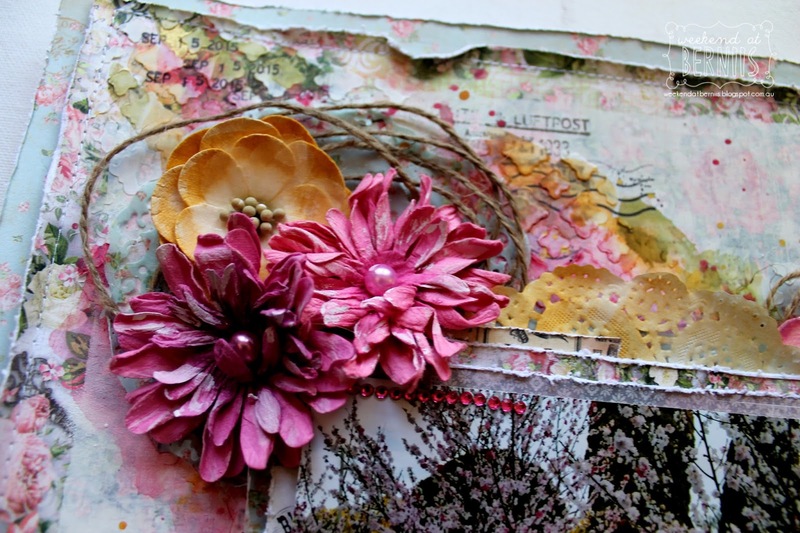 If you have not dabbled in any mixed media yet you really are missing out on so much fun. BoBunny has just released a ton of new product to make mixed media a breeze for everyone, from spatulas to gesso and everything in between. So to start with I brushed on a layer of white gesso over the background paper. Once that dried I added a ton of Postale Stamps to the background from a top left to bottom right flow. Then over the top I added a layer of Starling Stickable Stencil with modelling paste. Then to start blending all the layers to the background paper I grabbed my watercolours and added 3 different colours to match. Then it was time to start embellishing. And below you can see the final result. If you look closely at the top left flower cluster you can see the subtle decoupage paper die I cut which is perfect to build a cluster on. 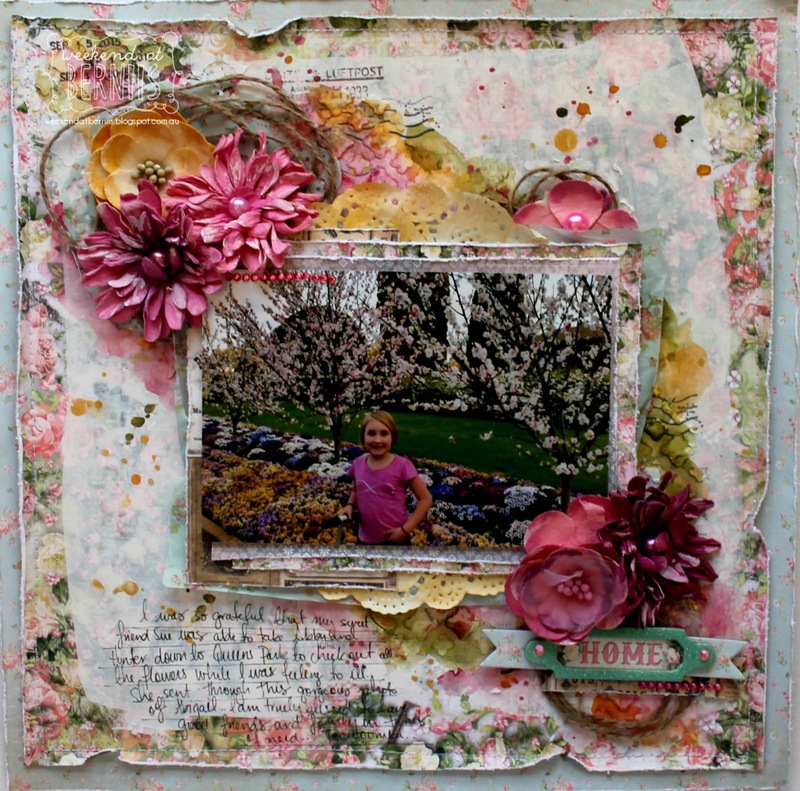 I also used the decoupage paper as another layer under my photo. Thanks so much for stopping by the blog today! I hope I have inspired you to create today.